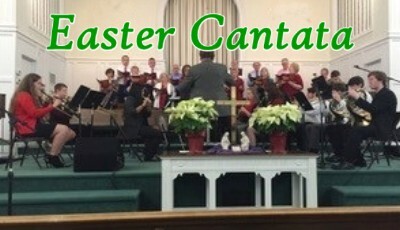 You are cordially invited to enjoy a very special Easter cantata on Palm Sunday during the 11:00 am Sunday Morning Service. The Drexel First Baptist Church Choir will be joined by several professional musicians and conducted Mr. Jon Berry, choir director at DFBC who is also the band director at East Burke H.S. Church Location: Downtown Drexel. Everyone Welcome.